Indulge in two unique and flavorful, full-bodied expressions with the Romeo by Romeo 4-Pack Sampler. Showcasing two cigars each of the strong and savory Romeo by Romeo and Romeo Anejo blends in a cool-burning 6 1/4x 54 Toro size, this low-priced sampler is a fantastic introduction to the "new breed" of Romeo y Julieta cigars. I really liked these! I will be ordering them again. 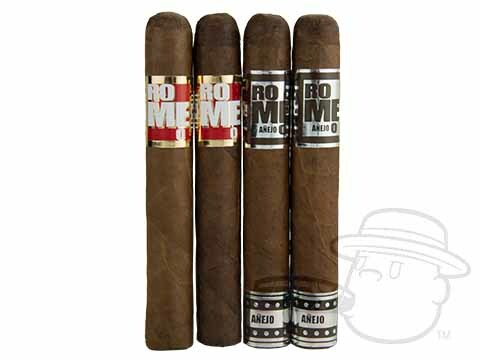 Romeo By Romeo Y Julieta 4 Pack Sampler is rated 4.8 out of 5 based on 5 customer ratings.